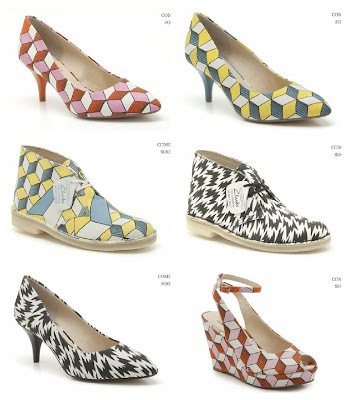 In SS13 Clarks is collaborating with iconic print designers Eley Kishimoto in a relationship that marries the creative flair of the British/Japanese print duo with the craftsmanship of Clarks. Previewed at London Fashion Week, the three styles: a wedge, a beautifully feminine court shoe and the classic Clarks Desert Boot come in three iconic Eley Kishimoto prints. Watch the video to discover the inspiration behind the collection and get a behind the scenes look at the London Fashion Week launch.